Hello! I am Beth Kellner and Welcome to my blog! I pray that in these articles, you will experience the love and peace and joy that comes from following Jesus! I would love to connect with you. Feel free to email me at pastor@lakecitiesumc.org. Hello! I am Katie Klein, and welcome to my blog! I pray that in these articles, you will experience the love and peace and joy that comes from following Jesus! I would love connect with you. Feel free to email me at associate@lakecitiesumc.org. 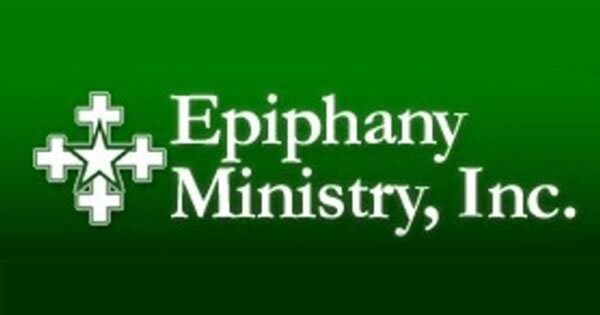 Be a Part of Epiphany Ministries! If you would like to be a part of Epiphany Ministries with Pastor Katie and Aaron, we have a few ways you can be involved. Donations and sponsorships, food (cooking or donating), agape gifts, and prayer! If you would like to know more, please email pastorkatiek@gmail.com or call her at 940-368-4568. Our relationship with God is often simply reaching out, getting into a rhythm, and moving forward. Not allowing ourselves to get stuck in one place for too long. And the great thing is if we do let go, if we do fall, God is always there. Ready to cushion our fall and help us start again. 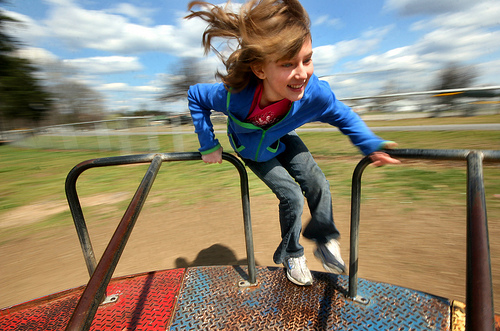 When you're on the merry-go-round, it's exciting to spin in circles, watching the same thing pass by you again and again and again, and each time feeling like you might get flung off, so you hold on tighter. 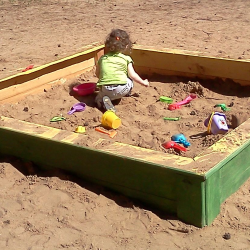 Wouldn't it be great if we all had sandboxes now? 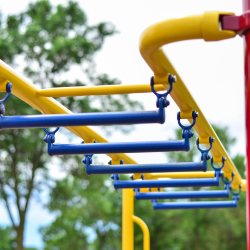 If we saw our church as a sandbox? We could create anything our imagination could dream up.